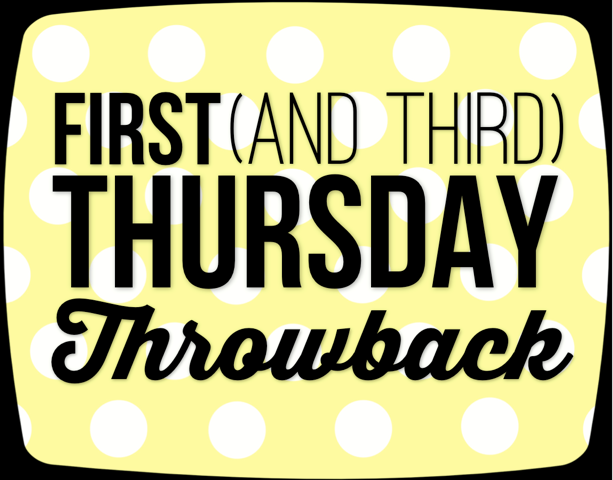 First and Third Thursday Throwback is not just an excellent example of alliteration but will also be a bi-monthly series where we get to know one of our writers better. In this series, I (Maddie) am going to ask questions about their journey to loving television, writing, and fandom as well as the influences that shaped who they are as a writer and fangirl. This week I got to talk to our fearless leader/precious cupcake Jenn about all of her nostalgic faves. A: My first TV obsession that was self-identified as an obsession would probably be CSI:NY. That’s where I actively became involved in a fandom for the first time (it’s also where I met Jaime, which is a story that I share a lot). I’m not necessarily sure that it impacted my taste in television, necessarily, since the series was a procedural (though I do watch a lot of those, I think that’s mostly just due to the fact that there are SO MANY AVAILABLE ON TELEVISION THESE DAYS), but the fandom’s impact on me was what caused me to become more involved in other fandoms on the Internet. So it really kick-started my journey into things later on like Community and Arrow and New Girl, etc. where I actively participated in creating content for fandoms. True story: I went to see Toy Story 3 in theaters and cried; and I also saw Beauty and the Beast and The Lion King when they re-released them in theaters a few years ago. Did I mention that I love Disney? A: Oh, this is a good question. I can’t really think of anything that I was embarrassed of loving too much in retrospect, to be honest. I have zero regrets about loving boy bands as much as I did or loving Disney. I might regret owning my decision to own a Furby as a kid because those things were creepy and the actual spawn of the devil. Q: What fictional character influenced your style growing up? A: Lizzie McGuire, for sure. I absolutely loved what she wore and thought she had the coolest closet. All of the outfits in the episode “Clue-Less” are amazing, but Lizzie’s wedding dress was my favorite. I just wanted to be Lizzie as a kid honestly. A: So I actually wrote a post about 15 of my television boyfriends throughout the years, and I’m pretty sure my first TV boyfriend was Steve from Full House. In a close second, based on chronological ordering, was Randy from Home Improvement. A: Hmm. I don’t know that I was ever really into anything that would be categorized as “nerdy” or “genre.” I guess Harry Potter might fit into that category, even though -- looking back now -- it’s pretty mainstream to be into that book. A: You know, I was thinking about this earlier today because my first self-identified ship before I knew what shipping actually was is Gordo/Lizzie from Lizzie McGuire. But honestly, I have vivid memories of playing with my Hunchback of Notre Dame dolls in the basement of my childhood house and making Phoebus and Esmeralda hold hands. So maybe they were my first real ship before I even really knew what love or romance was. A: I answered this a little bit above but my first Internet fandom was for a ship on CSI:NY (Danny/Lindsay). A ship brought me to the vast world of fandom and I feel like that’s an extremely common thing. I became active online and joined a fan forum that was for all three of the CSI series. Eventually, though, the shippers of Danny/Lindsay migrated off onto their own forum because people on the main one hated Lindsay with a passion. So it was on that ship-only forum that I met Jaime and a few others through and the rest, as they say, is history. I haven’t looked back from fandom since. A: CHANDLER. You’re definitely correct. While Chandler is my favorite character on Friends, I relate the most to Monica. But come on -- who wouldn’t want to have a snarky best friend like him? I mean, really. A: I guess that would have to be Community, if we’re talking critical writing here. I had written about shows before, don’t get me wrong, but this was the show that really propelled me to think and to think critically. I learned a lot from watching it and I learned a lot about myself as a writer as I dissected it. So many kudos to Dan Harmon for that one. Q: Favorite Disney Channel Original Movie? A: I totally also wrote a post about this, so you’re reading my mind. Tru Confessions is still the best DCOM of all time and my favorite because of how moving and inspirational and thought-provoking it was. They seriously don’t make them like this anymore. I mean, Teen Beach Movie? Come on. A: I think that my absolute favorite thing about fandom is hard to put into words. It’s this idea that there is a romance on television or a book that you read or a character in a movie that connects you with someone across the room or the country or the world. That’s such a cool experience, right? Like, there are so many people I’ve met through online fandoms that I have little in common with apart from our mutual love of a show. We don’t speak the same primary language or we don’t live in the same part of the country or we don’t see eye-to-eye on our religious beliefs, etc. But the thing that tethers us to one another is also the very thing that makes our relationship special. I wouldn’t be friends with a lot of these people online if it wasn’t for fandom. Mostly because I wouldn’t know these people in “real life” or meet them casually at a party, you know? Fandom is this amazing thing that binds us to each other and that’s what makes it so special -- that we begin with this one thing in common and then from there, we’re able to build friendships and relationships by learning about each others’ lives, genuinely. A: Probably DJ and Kimmy from Full House. Kimmy was so hilarious and such a nuisance in many ways to everyone around her except for DJ. But they were like, true friends. They loved and supported each other through it all and when they fought, they were usually both in the wrong, somehow. And I liked that -- the idea that friends don’t always see eye-to-eye about everything and sometimes you’re both a little wrong. Additionally, I loved and adored the friendship between Fran and Niles on The Nanny. That was one hilarious and conspiring friendship. Plus it was just sassy. I loved it. A: Oh man, this one's a doozy of a question. I think there were a lot of female fictional characters that influenced me growing up. I mean, I was born in 1989 so I grew up watching the shows that my parents passed onto me -- things like I Love Lucy and The Mary Tyler Moore Show. I remember watching All in the Family and Three’s Company and The Nanny and Mad About You vividly with my extended family during sleepovers. I loved the cheesy family comedies of my time like Full House and Family Matters. I adored Boy Meets World and Friends. And on every one of those shows, there were amazingly well-written women. I watched a marathon of I Love Lucy this past weekend and realized, yet again, how great of a character Lucy Ricardo was and how awesome Ethel Mertz was, too. I watched a lot of funny women growing up. Fran Fine was hilarious and she may not have been wealthy, but she was always the problem-solver (or problem-causer) and she was really smart and had her own set of standards she adhered to. I mean, Topanga and DJ were huge influences for me as a teenager. DJ was the kind-hearted Tanner sister and Topanga was the earliest depiction of a feminist I can recall admiring. Then there were characters like Laura Winslow who was compassionate and loving. I watched (and still do) television shows with well-written female characters. That’s why I love characters like Leslie Knope and Jessica Day -- they’re both diverse but they both are just really well-developed characters who are flawed and are still relatable even in their flaws. TOTALLY competitive when it comes to board games. I'm insanely organized (as you've witnessed), and I love schedules and organization. Plus, I shove all of my embarrassing clutter into a closet like she does. I've started saying "I KNOW" a lot and every time I do, it sounds like her.